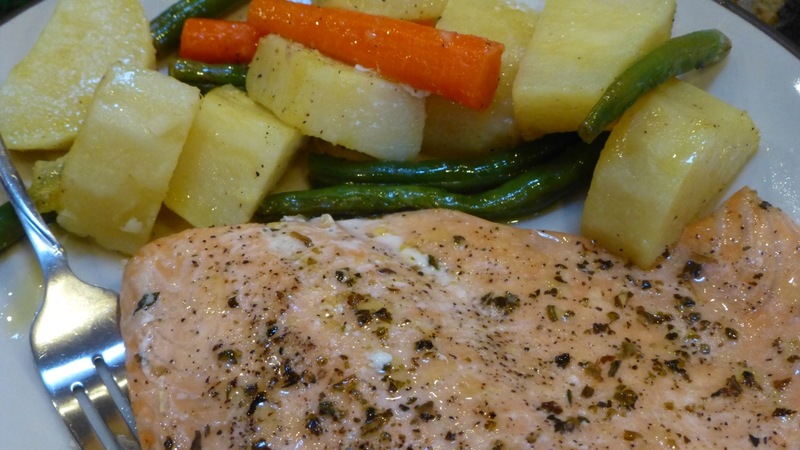 This is a very simple recipe to make: Baked Salmon with Assorted Vegetables. Simple is always good, right? The only change we made in this recipe is replacing the Yukon Gold Potatoes with sweet potatoes which made the recipe more paleo friendly. And it was good and healthy. There are many fish paleo recipes out there. Some of them have salads as a side and others, like this one, use vegetables. You can link to other recipes I’ve tried below. If you have any recipes you’d like to share for us to try, please let me know.